Manchester United face a tremendously uphill task against Liverpool on Saturday after a negative update. A team already struck by injuries will now miss another name to add to their woes. 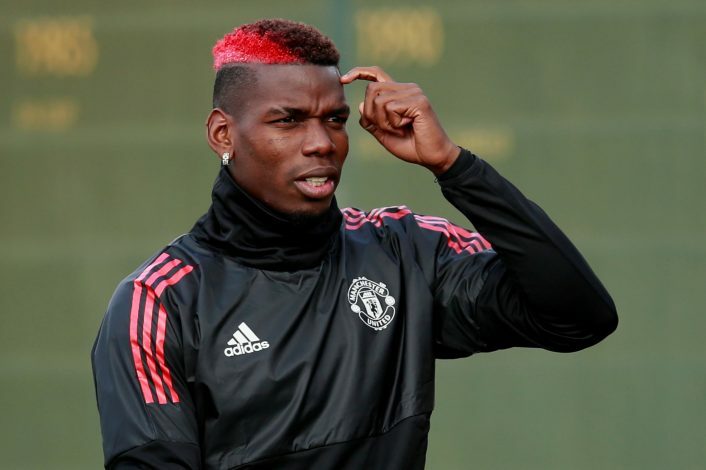 Paul Pogba has been ruled out of the Old Trafford fixture, after the Frenchman was unable to complete a full training session ahead of the game. As per Telegraph, the absence is assured, and has now forced Jose Mourinho into a last-minute reshuffling of the midfield for the fixture. This will be a late advantage to Liverpool, who will be eager to secure all three points, as it would ensure them the second place in the Premier League table. The source added that Pogba wasn’t among the squad members to arrive at the Lowry Hotel in Salford on Friday evening, where United convene prior to their home games. The miss means that Mourinho will have to look at possibly a formation change in addition to fielding players that might not have the best impact against their Merseyside rivals. While Scott McTominay proved impressive in the Chelsea game, his performance alongside Nemanja Matic hasn’t been the best in their more recent fixtures. However, with the injury to Herrera and the ongoing recovery of Fellaini, the Portuguese gaffer might not have any other option either. This is in addition to a generally bad run of games from Pogba, who has been on the receiving end of much criticism as well. Regardless, the talents of the former Juventus man are still strong, and that is evident in the fact that he is the Red Devils’ top creator this season. As of such, his absence will make a daunting dent in the home side against a Liverpool team that will be eager to wreak havoc. Trouble for Mourinho?